Gorgeous blue skies, sunshine illuminating a perfectly manicured lawn, and a team of thoroughbreds galloping across the field in a show of beauty, strength, and athleticism, created an idyllic backdrop for Serendipity Magazine’s Horsing Around for Charity event on Sunday. 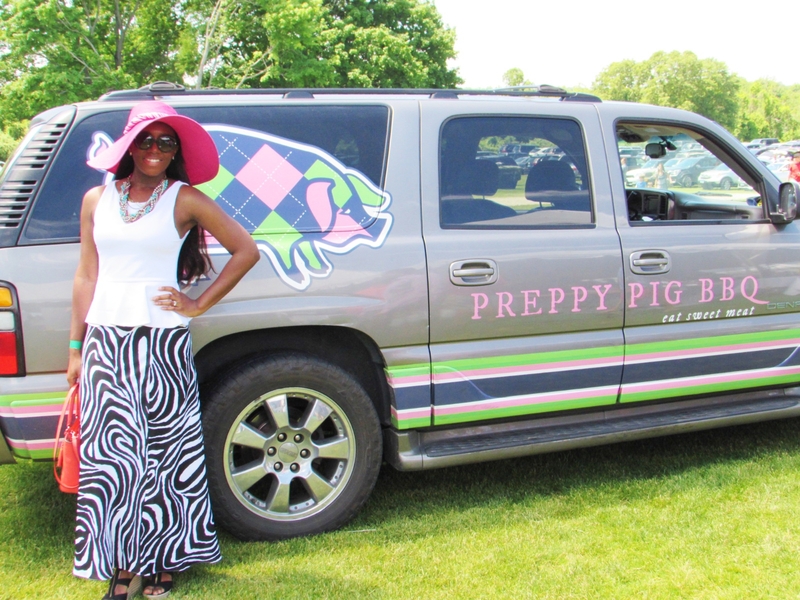 My friend Meghan and I threw on our most stylish garden outfits to attend the charity polo match at the Greenwich Polo Club Sunday afternoon. Proceeds from the event go to benefit Pegasus Therapeutic Riding, a non-profit organization that provides equine-assisted activities to individuals with special needs, injured military veterans and at-risk individuals, including disadvantaged children and abuse survivors. 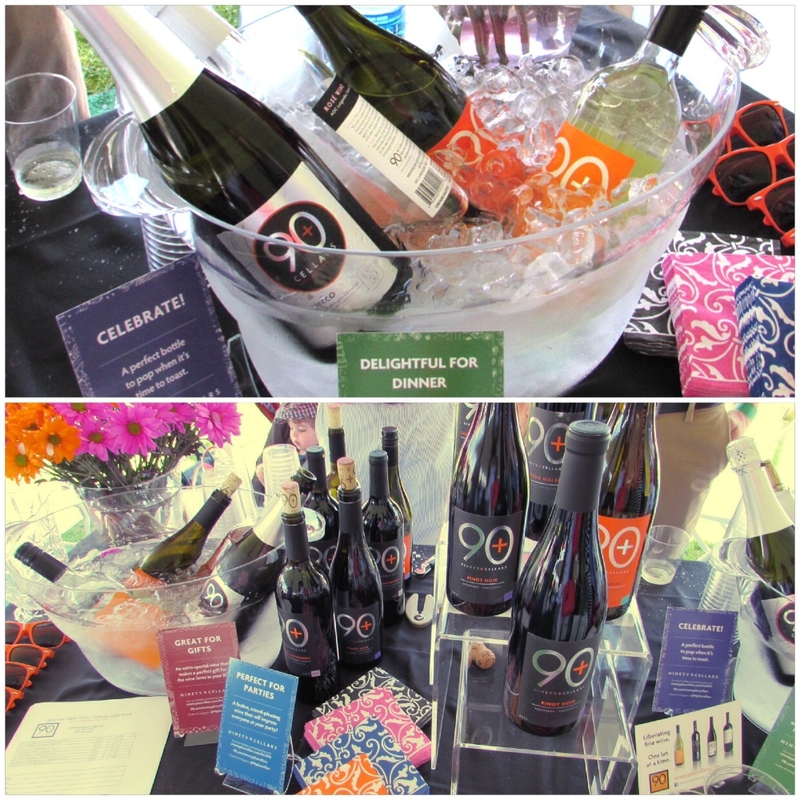 There were some great discoveries made at the charity event which included food and wine tastings and displays of nifty accessories such as pearl anchor bracelets by Kiel James Patrick and custom cutting boards by Soundview Millworks. We sampled an excellent selection of wines. Personally, I am not a big fan of white wines. I gravitate toward the rich and full-body taste of a carbernet-sauvignon or a pinot noir. However, Greenwich Wine & Spirits won me over with the sampling at their booth of the Feudi di San Gregorio Falanghina wine. I know. What a mouthful to say! It’s a pale gold wine with a fresh citrus taste that goes perfectly with the warm weather. Another great wine find was the 90 Plus Cellars Lot 50 Prosecco. This light tasting prosecco was a refreshing touch of heaven in my mouth considering how hot it was that day. I foresee a boozy brunch with a delicious spread and a couple bottles of these happening very soon. As much as I love a good wine, I enjoy a good beer just as much. Depending on my mood, I’m an equal opportunist when it comes to my selection of alcohol so, of course, I had to try a few of the beers offered at the event. My favorite was Goose Island’s farmhouse ale called Sofie, which is a light, sparkling body beer with hints of vanilla and citrus. It reminds me of the Sierra Nevada Kellerweis Hefeweizen. If you enjoy that beer, I highly recommend the Sofie for out-door barbecues. I especially enjoyed the savory barbecued meats made by Preppy Pig that made a perfect pairing with my Sofie beer. No great event is complete without delectable fruit preserves and compotes by the Prima Dolce Company. 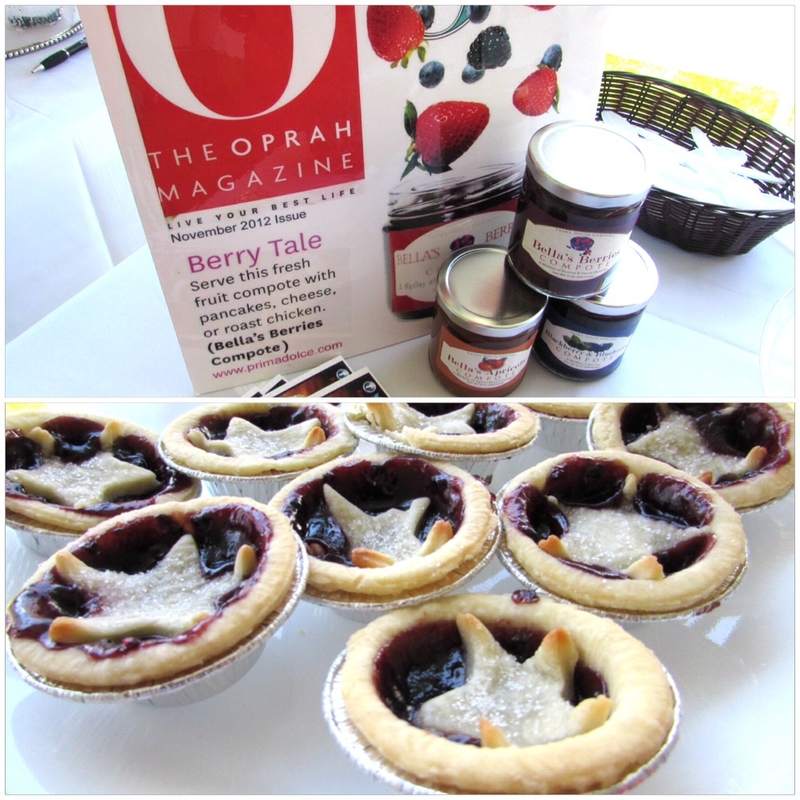 Their savory tarts were amazing and put a nice finish to all the foods we tasted. 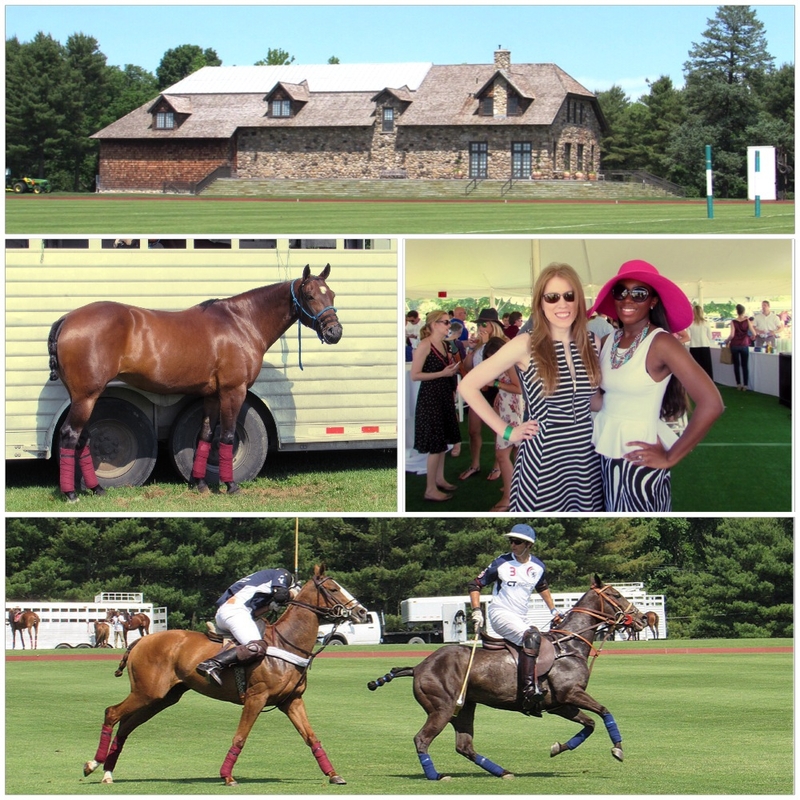 Overall, the charity polo match was well organized and a delight to attend. Yet, if you were to ask me who won the polo match, I wouldn’t be able to tell you. Too much wine and sun makes for hazy memory but what a wonderful day! 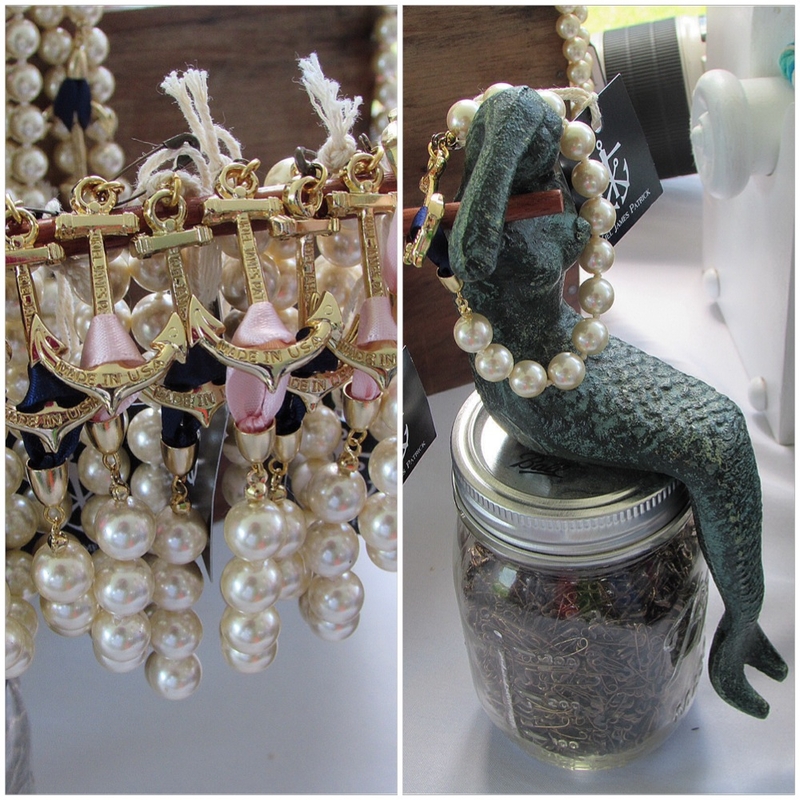 This entry was posted in Eats, General, Party Tips, Style Talk, Unique Finds and tagged C'est Mode Chic Style, charity event, garden chic, Greenwich Polo, horses, pearls, polo match, prosecco, Serendipity Magazine, summer beer, Summer fashion, summer sunday, summer wines, sun hat. Bookmark the permalink. What a great read! I felt like I could taste all of the wonderful treats you described! Glad you had fun, Val! I can’t wait to read about your next adventure!